Here are some of the latest press coverage and events. 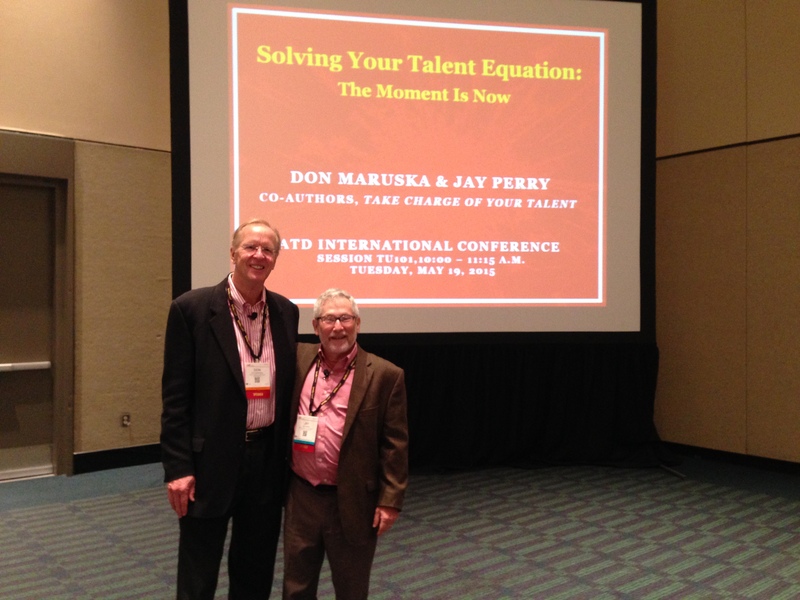 Don Maruska and Jay Perry have been chosen to present a session at the Association for Talent Development international conference in Washington, D.C. 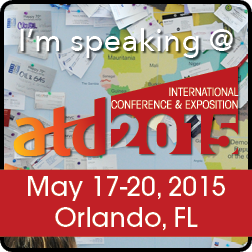 The conference draws over 10,000 leaders in talent development from around the world. This session engages participants in a lively and immediate way to clarify their unique abilities and give expression to them in ways that attract interest and support from others. Here we are at the presentation. Participants enjoyed creating their own “talent selfies” to project their brands and attract the opportunities they want. Want to get a group on fire? Invite them to be Talent Catalysts for one another to attract the opportunities they want. Do these look like powerful signals to help these folks get what they want? 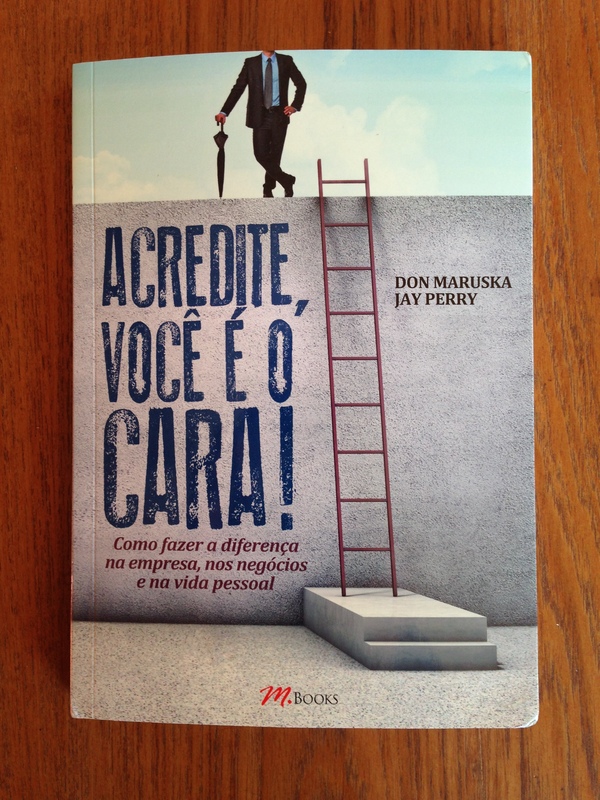 M. Books headquartered in Sao Paulo, Brazil, just released a Portuguese translation of the book. We are delighted that the more than 215 million native Portuguese speakers now have access to Take Charge of Your Talent. Do you know anyone in Brazil (200 million), Portugal (10 million), or elsewhere who’d like to make greater use of their talent and have fun doing it? Over 150 leaders in Silicon Valley local government attended the first of three workshops on Take Charge of Your Talent. Participants served as Talent Catalysts for one another to power up their talent stories. The room buzzed as attendees engaged their hopes and found new ways to access resources and opportunities. 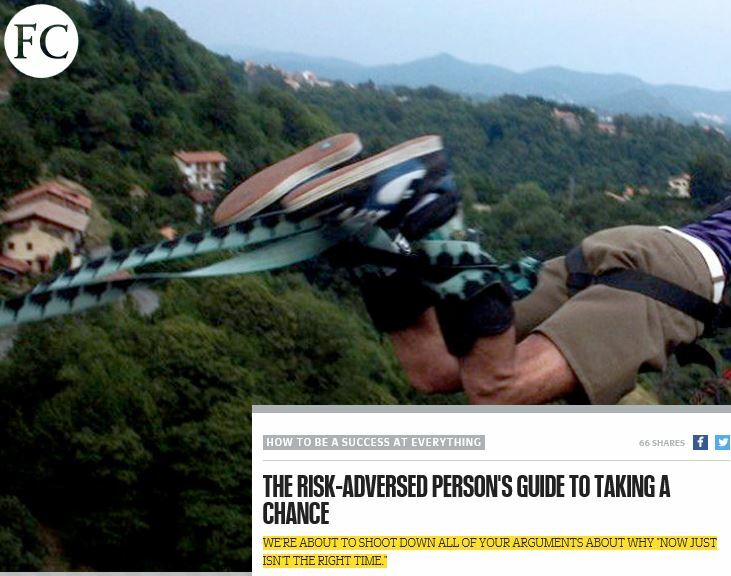 Lindsay Lavine’s article quotes Don Maruska about how risks are present in all undertakings and the need to calibrate and navigate them to get what you want. For more insights about healthy stretches, see the recent blog post on this site and Chapter 6 “Challenge Yourself to Stretch” in Take Charge of Your Talent. 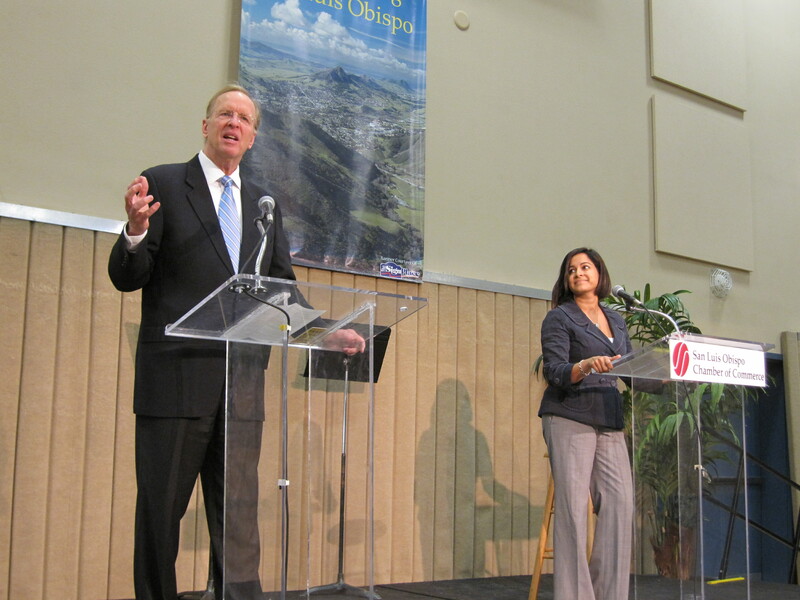 Top leaders and managers across the City of Concord (population 125,000 in SF East Bay area) participated in a 2.5 hour workshop sampling the three keys to thrive in their careers, organization, and life. Participants reported conversations continuing throughout the day back in their workplaces. Looking for ways to enliven the management team, Cuesta’s Management Senate chose the Take Charge of Your Talent program. This program fits with the critical role that college administrators play as stewards of their talent and the talent of the faculty, staff, and students they serve. The program will continue with the three core workshops in September and October with follow up in early 2015 to document results. 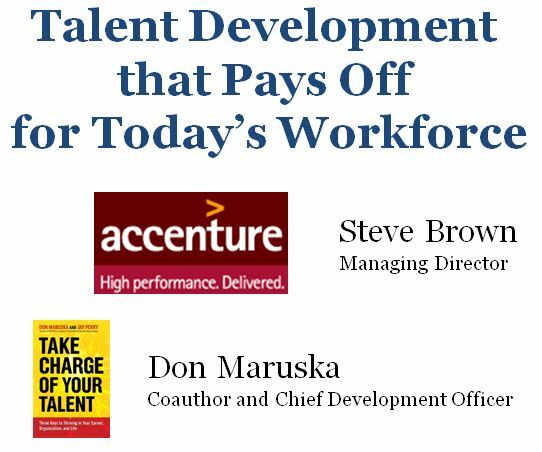 Steve Brown, a Managing Director of a multi-national team in Accenture, teamed up with Don Maruska to present “Talent Development that Pays Off for Today’s Workforce” at the International Conference of ASTD (the world’s largest professional association for training and development). They reported that a diverse team spread across 13 locations around the globe gained an average 20% boost in use of talent and an increase in job satisfaction. Some individuals gained even higher personal results. Participants also documented creation of a whole catalogue of tangible career and organizational assets as win-wins for themselves and the business. This is part of Take Charge of Your Talent’s ongoing outreach to stimulate today’s workforce to productive actions. The current environment requires personal initiative and mutual support to make the most of our talents and enjoy doing it. 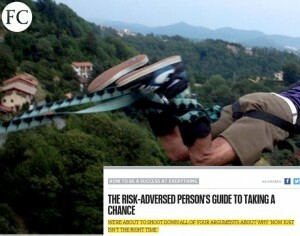 Look before you leap is the theme of this newsletter article. Whether you are looking for a job in government or a career elsewhere, you will benefit from being sure that you are running to something not running away from something, being clear about your hopes (not someone else’s) for your next step, and exploring multiple options to zero in on the right fit for you. 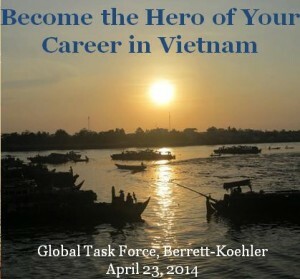 Read more at “Careers in Government” newsletter http://bit.ly/1nOngeZ. Our article ignited lively discussion at Entrepreneur.com. 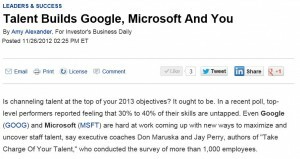 http://www.entrepreneur.com/article/231623 Readers especially commented on their frustrations with employers who just “don’t get” that there’s so much talent that could bubble up — if they’d just allow it to happen. 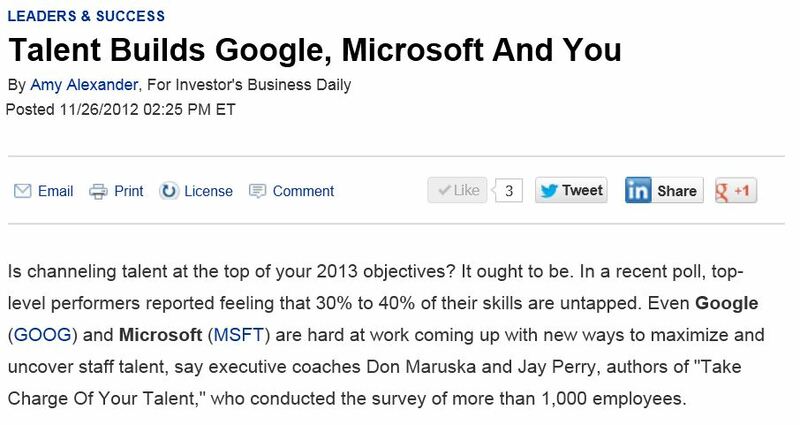 Employers check out the keys to unlock this talent. You can find this video interview at http://switchandshift.com/ignite-your-talent or subscribe to the “Work That Matters” podcast at https://itunes.apple.com/us/podcast/work-that-matters-podcast/id741665948?mt=2. 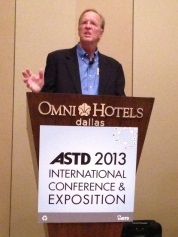 ASTD chooses Take Charge of Your Talent for 2014 International Conference in Washington, D.C.
ASTD, the world’s largest professional association dedicated to training and development, has selected “Talent Development That Pays Off for Today’s Workforce — practical process and case study” for presentation at its 2014 international conference. We are delighted that the more than 8,000 professionals attending the conference will have the opportunity to hear the results of the Take Charge of Your Talent program with an international team from Accenture. Steve Brown, Managing Director of Accenture, will join Don in the presentation. 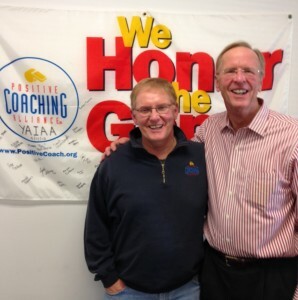 Using a new take on “lunch and learn,” Don served up “Talent Tapas” to the leadership team at the Positive Coaching Alliance, an organization promoting positive values to over a million youths and coaches in sports throughout the U.S. [Photo above is with Jim Thompson, founder and CEO of PCA.] The session engaged the Silicon Valley team in sampling the insights and keys that deliver greater use of talent and increased personal satisfaction. Don and Jay led workshops for employees throughout MindBody Online, the world’s leading provider of software as a service (SaaS) to health and wellness providers. Each MindBody team member not only learned about the neuroscience and psychology underlying the Take Charge of Your Talent program but also completed two Talent Catalyst Conversations — one as a participant and another as a Talent Catalyst for someone else. Rick Stollmeyer, CEO, commented afterwards: “This workshop was a ’home run.’” The firm is continuing with workshops for Key 2 (Accelerate through Obstacles) and Key 3 (Multiply the Payoffs for Yourself and Others). Robert Thompson and Mike Reiss interviewed Don for their 30-minute Thought Grenades program. 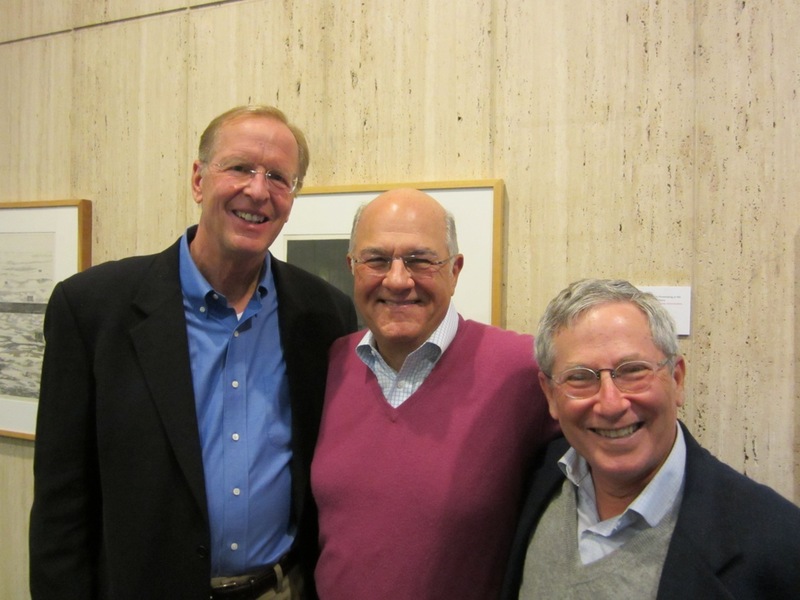 They have interviewed many thought leaders including Tom Peters, Jim Kouzes, and more. 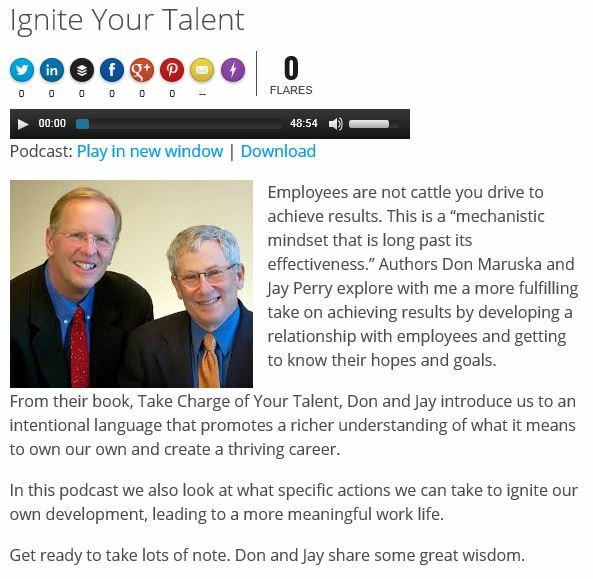 Robert and Mike took special interest in how Talent Catalysts offer a fresh approach to stimulating talent development at all levels. They are already interested in a return interview to learn about the Take Charge of Your Talent movement, which is already active with leaders in five countries. Deploying the latest e-learning and virtual training technologies and techniques, Take Charge of Your Talent began delivery of its Take Charge of Your Talent organizational program for virtual teams. Our goal is to create the virtual equivalent of richly engaging and productive in-person workshops. We chose WebEx Training as our platform and began a program that will span four months for a team at Accenture consisting of a senior director, three geographical managers, and 24 professionals across 11 countries. Early survey results show participants reporting high value in this virtual delivery format. 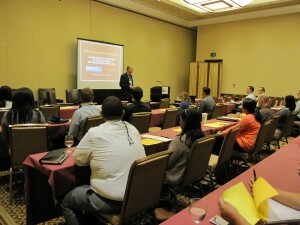 Up and coming municipal management leaders from throughout Southern California gathered in Santa Barbara. The conference session on Take Charge of Your Talent attracted wide interest and gave participants samples of the three keys in practice for themselves. 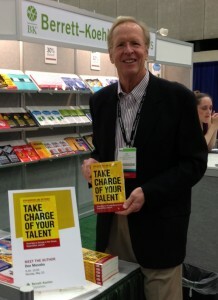 It was fun selling Take Charge of Your Talent right from BK’s booth in the Exposition Hall. People from the presentation the day before and others came by and purchased books. We also heard interest in additional translations and bulk purchases. Thank you, BK, for all you do! 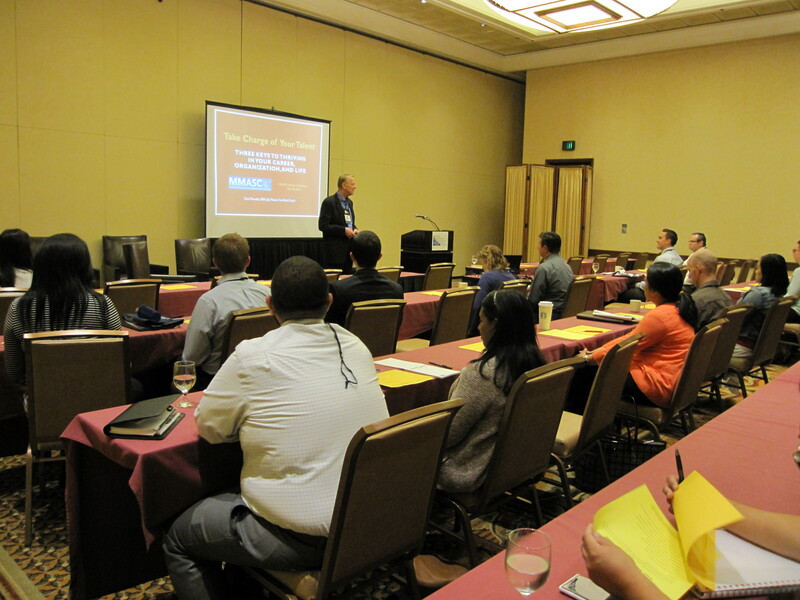 Over 100 people attended Don’s presentation, “Take Charge of Your Talent: Engage Employee Self-Motivation Successfully,” at the International Conference. Most importantly, there was great enthusiasm in the session and around the conference in learning more about the book and workshops to put it into practice. After the session and in the hallways, people from across the United States as well as the Bahamas, Canada, China, India, Korea, Mexico, Netherlands, Switzerland, Thailand, Turkey, and the UK asked for more information. Take Charge of Your Talent has earned the distinction of “Must Not Miss” from ASTD, the world’s largest professional association dedicated to training and development. We’re delighted to receive this recognition from leaders in the field. 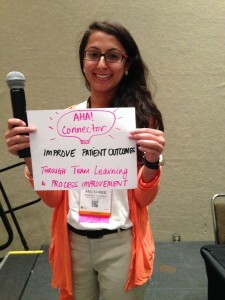 The review appears in the May 16 edition of the ASTD Learning Executive Briefing. This one-hour, quick start webinar guides you to boost your talent and fulfillment. The webinar lays out easy ways to access the keys, responds to participants’ questions, and identifies issues and solutions for each of us to make 2013 our best year yet. 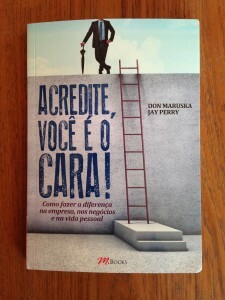 Business Book Review selects book as one of the very best business books. 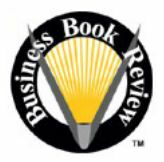 Business Book Review has chosen “Take Charge of Your Talent” as one of the best business books for summary and review. 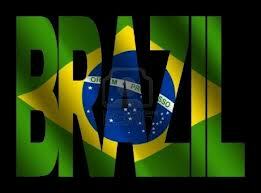 It will develop a professionally written, concise synopsis of key concepts in the book for publication. 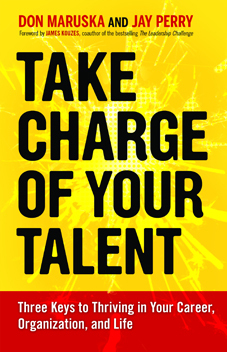 Gildan Media has acquired the audio rights for “Take Charge of Your Talent” to produce an audio book and audio digital distribution within 10 months. Gildan Media publishes works by Brian Tracy, Richard Branson, and dozens of other authors. Busy people told us they wanted to access the book’s insights while they are on the go. Get your mp3s ready! We look forward to engaging professionals in Brazil who would like to become Certified Talent Champions to help accelerate opportunities in their country. Local government finance directors participate enthusiastically in “Take Charge of Your Talent” session at annual conference. 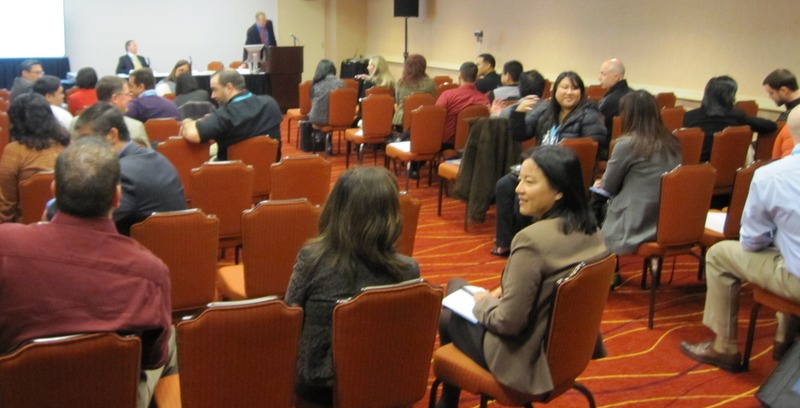 Finance directors and up and coming talent from cities, counties, and special districts in California attended the session featuring “Take Charge of Your Talent.” The Chair of the Career Development Committee who served as moderator for the session noted, “Everyone appplying for a job ought to tap these tools before entering the job interview.” He and other participants not only learned about the keys but also sampled using them in the 75-minute conference session that Don Maruska led. We’re delighted to hear that HarperCollins India will be printing a special edition of the book for India, Pakistan, Bangladesh, Nepal, Bhutan, Sri Lanka, and the Maldives. This is a great opportunity for the people, businesses, government agencies, community organizations, NGOs, and coaching professionals active in this region of 1.45 billion population. We are eager to reach the Asian subcontinent as part of the Take Charge 20/20 Vision: By 2020, 20 million people across twenty countries will have the keys to take charge of their talent, with at least 20 percent of these people being from traditionally underserved populations–like prisons, inner-city schools, and developing countries. Thank you, Berrett-Koehler and HarperCollins for teaming up on this endeavor. Jim Kouzes’ thoughtful Foreword for “Take Charge of Your Talent” has generated such interest among readers that we asked Jim to share his thoughts further with us. In this 40-minute discussion we address the following questions that readers have raised: What are the roles of leaders and employees in talent development? How do leadership and talent development activities evolve as someone moves from entry level to first-time supervisor to senior manager and beyond? What are the three fundamental truths that you see underlying the book and how can readers overcome the obstacles to embracing them? 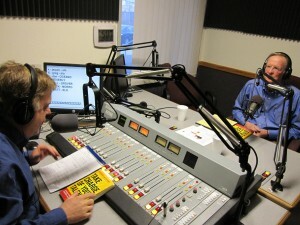 This interview is one of the special gifts in the Early Bird Offer for people who purchase the book by February 15, 2013: www.TakeChargeofYourTalent.com/early-bird-offer. 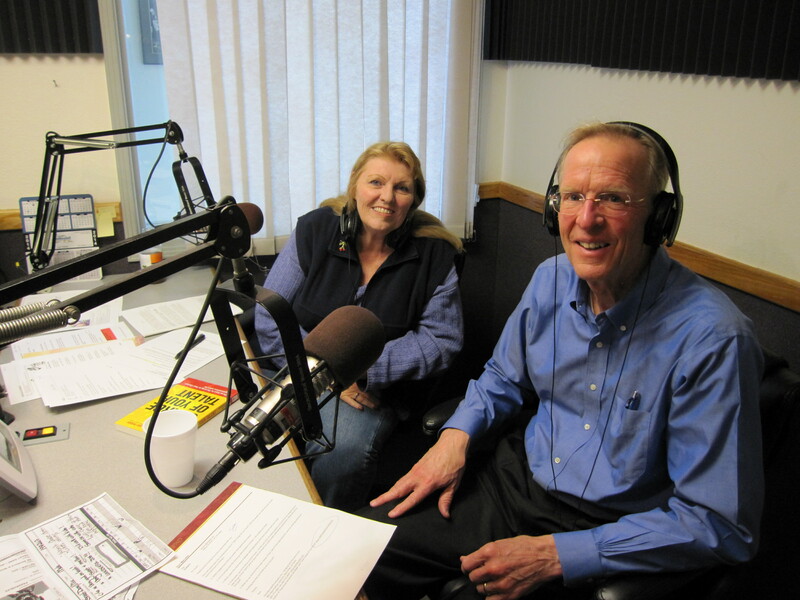 News talk radio station KVEC 920 am has hour-long discussion of “Take Charge of Your Talent” with readers calling in and asking questions. 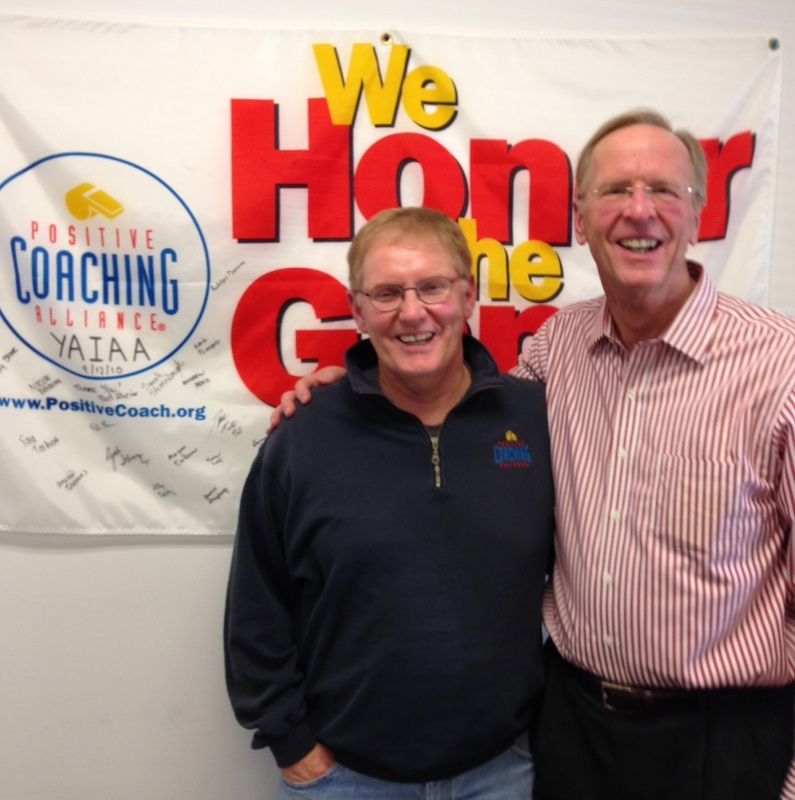 Radio talk show host and award-winning author, Dave Congalton, invited Don to talk about the book and share stories and examples of people enjoying successful results. Callers, including some who have read the book, asked questions about how to implement these practices in the competitive business world. 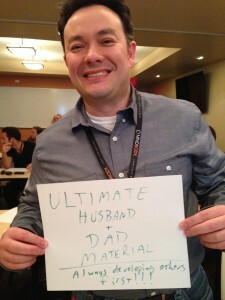 Don even helped the host with keys from the book to assist Dave in pursuing his hopes to deliver speeches based upon his screenwriting successes. Barnes & Noble features “Take Charge of Your Talent” in its top stores throughout the U.S.
Barnes & Noble has picked “Take Charge of Your Talent” as a key book to feature on its New Releases table in its top stores. In support of this promotion, we have added an extra opportunity for in-store purchases in our “Early Bird Offer.” Anyone who buys the book in a B&N store by February 15, 2013, will be eligible for a drawing to win one of four $25 Barnes & Noble gift certificates. 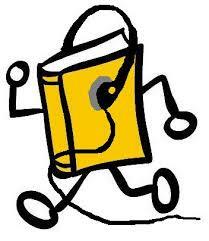 This is in addition to the four special gifts for book purchasers from any source. See www.TakeChargeofYourTalent.com/early-bird-offer for details. 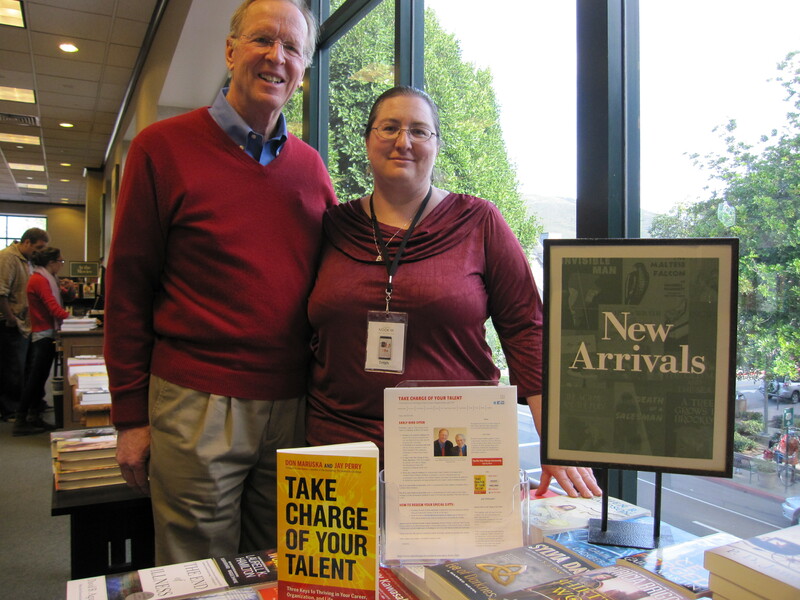 Don appears here with Store Manager, Leigh, in San Luis Obispo, CA. 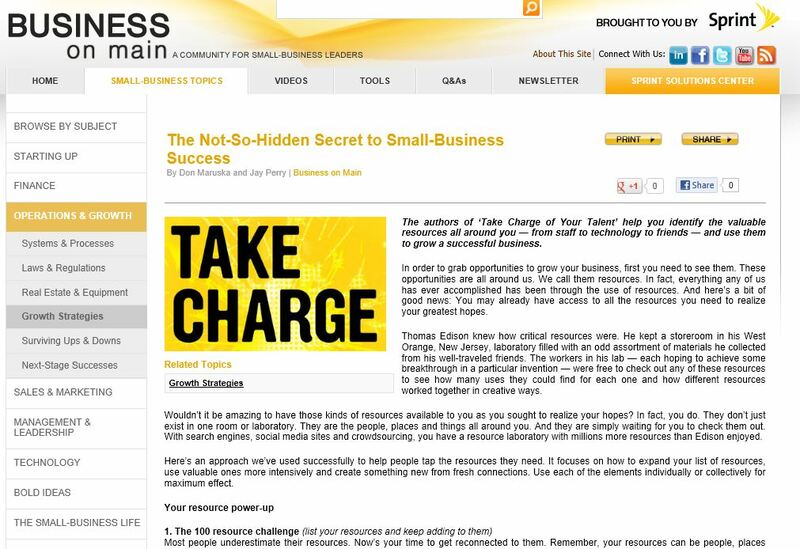 From the eidtors: The authors of ‘Take Charge of Your Talent’ help you identify the valuable resources all around you — from staff to technology to friends — and use them to grow a successful business. 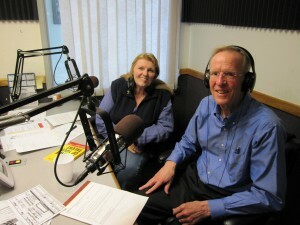 Connie Martinson interviews of authors includes Barack Obama, Al Gore, and Louis L’Amour and many others. 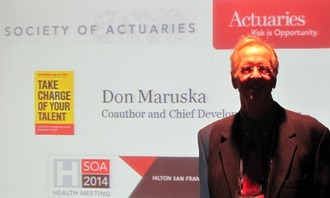 She did a 15-minute interview with coauthor Don Maruska in her studio in Los Angeles. 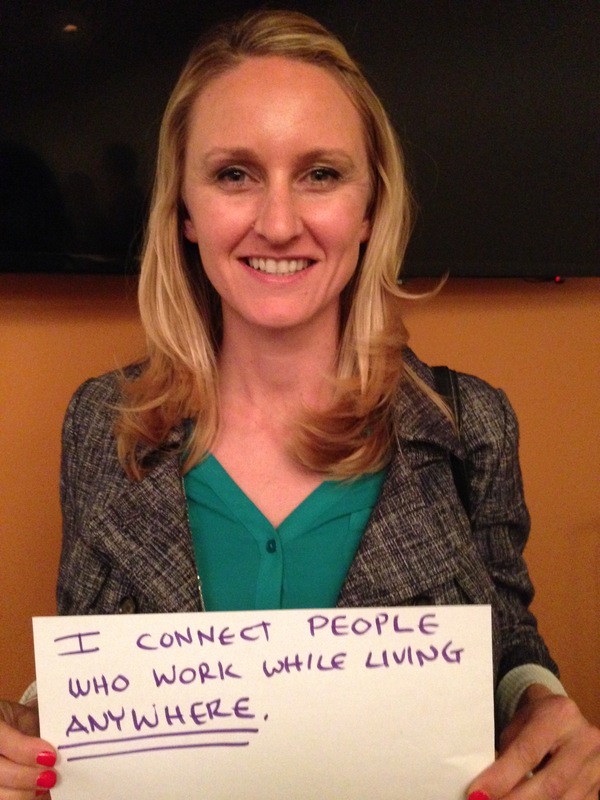 Connie focused on the power of people to take charge of their talent and shift their talent stories for good. See the interview at http://www.youtube.com/watch?v=WZ2CkMPJkkU. Nationally syndicated WorkWise column features “Take Charge of Your Talent” as innovative way to boost careers. Just bought and started reading take charge of your talent . WOW! Fabulous. Thanks, Holly. That’s much appreciated praise from a great HR leader.